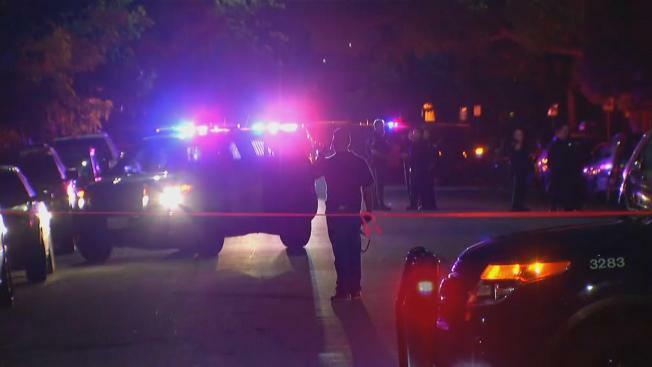 San Jose police were investigating a double homicide Sunday night near the San Jose State campus, according to police department officials. At about 8:45 p.m., officers were dispatched to the 900 block of South Eighth Street on a report of shots fired. Officers arrived and discovered two male victims suffering from at least one gunshot wound each, police said. One victim was pronounced dead at the scene. The second victim was transported to a local hospital, where he was pronounced dead a short time later, police said. Neighbors said they heard about 12 to 20 rapid-fire shots. They believe the two victims were related and may have been brothers, but police have not confirmed any details about the victims. The motive or circumstances surrounding the shootings were unknown. No suspects have been identified or apprehended, police said. The identity of the victims was not released pending notification of next of kin. Anyone with information about the shooting is asked to contact the San Jose Police Department's Homicide Unit at 408-277-5283. Persons wishing to remain anonymous may call the Crime Stoppers Tip Line at (408) 947-7867.